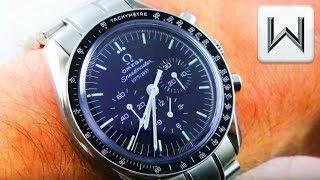 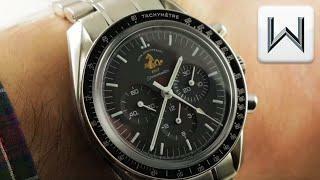 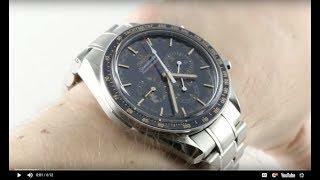 The Vintage Omega Speedmaster Moonwatch 145.022 features a 42mm stainless steel case surrounding a black dial on a stainless steel bracelet with folding buckle. 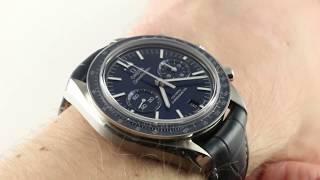 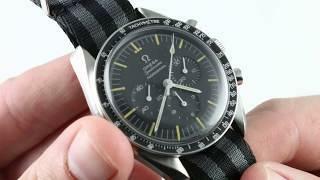 Functions include hours, minutes, small-seconds, chronograph and tachymeter. 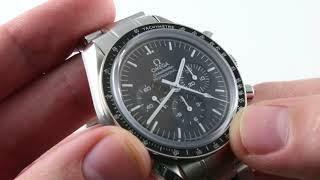 The watch also measures 14.3mm in thickness and 48.5mm from lug-to-lug.